For 70 years, the International Union for Conservation of Nature (IUCN) has been the global authority on the status of the natural world and the measures needed to safeguard it. Through its SOS – Save Our Species partnership, IUCN is coordinating frontline projects worldwide in order to help ensure the long-term survival of threatened species, their habi­tats and the people who depend on them. The Crocodile. This is how the French tennis champion René Lacoste was nicknamed in 1927 for his tenacity on the court. Today, the Lacoste logo still symbolises the will and commitment the brand invests into each action it undertakes. From this year, Lacoste will support IUCN’s SOS partnership to help fight the extinction crisis by championing 10 of the most threatened species in the world. The brand has created 10 limited edition polo shirts, where its iconic crocodile leaves its historic spot to those animals. 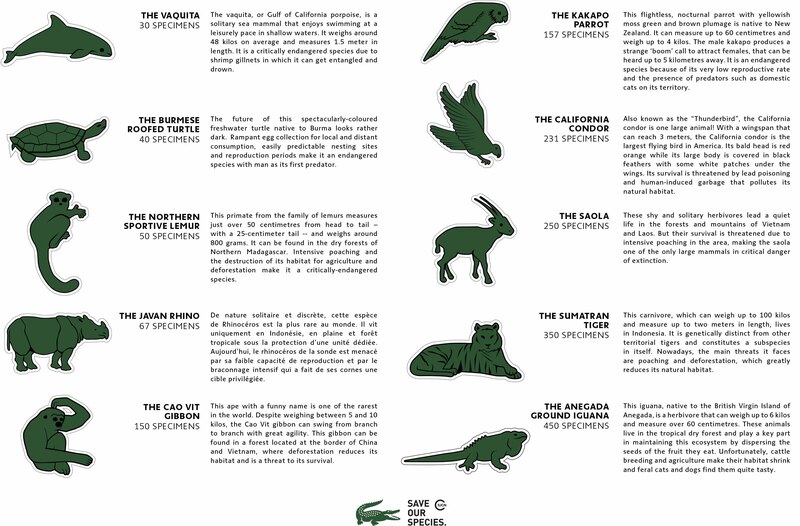 The number produced in each series corresponds to the remaining population sizes in the wild as estimated by IUCN species experts. By buying a polo, you participate in helping IUCN and Lacoste in the fight for wildlife conservation worldwide. By saving species we are saving our planet, thank you for supporting IUCN’s SOS – Save Our Species Program –www.saveourspecies.org. 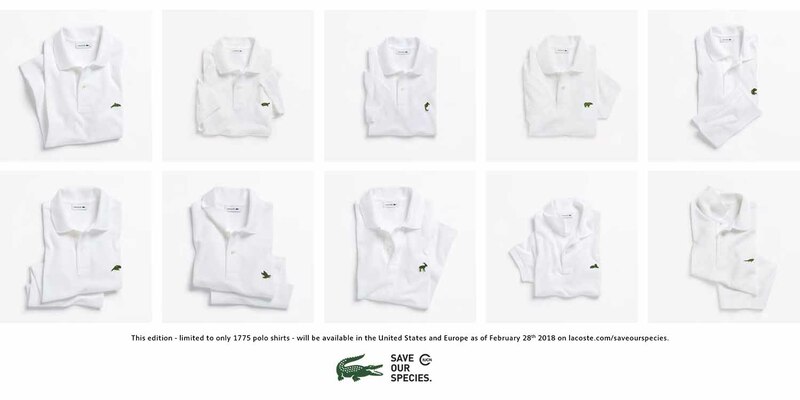 This edition – limited to only 1775 polo shirts – will be available in the United States and Europe as of February 28th 2018 on lacoste.com/saveourspecies.